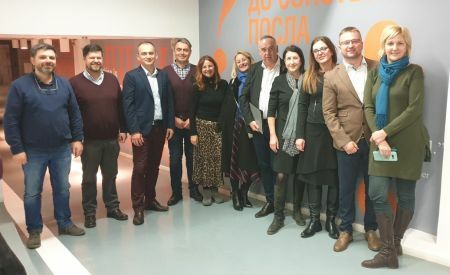 The Association of Management Consultants of Serbia (UPKS) held a regular election assembly, where Aleksandra Hristov, Director of Hristov Consulting was elected President of the Managing Board, and Daniel Tavčioski, an independent consultant, was elected President of the Association’s Assembly. At the fifth assembly of the Association of Management Consultants of Serbia Andrija Gencel, independent consultant, Dario Daničić, director of Intema consulting from Belgrade, Borislav Čubrilo, director of BUS Computers from Kikinda and Ljubiša Petrović, director of the Smart Management Solutions Agency, were elected for the two-year mandate as the members of the Managing Board. Aleksandra Hristov, who held the office of president of the UPK Assembly in the previous mandate, pointed out that the goals of the new management are promotion of the values of UPKS and the opportunities it provides, motivation of a greater number of consultants to join the association, and the realization of full membership in the International Council of Management Consulting Institutes (ICMCI). “For 10 years, the Association has managed to bring people together with integrity, to be an affiliated member of the ICMCI umbrella organization, which brings together business consultants in 50 countries, and is a guarantee of quality in providing consulting services to clients” said Hristov. 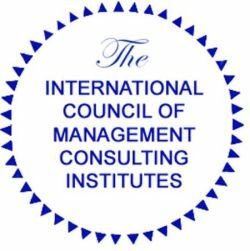 The Association of Management Consultants of Serbia is an associate member of the International Council of Management Consulting Institutes ICMCI, a global organization that brings together the most prominent management consultants worldwide and awards CMC certificates that are the only internationally recognized brand dedicated to individual business advisers. By awarding the CMC certifications in 2012, the Association of Business Consultants of Serbia was recognized as a partner of the ICMCI in Serbia.